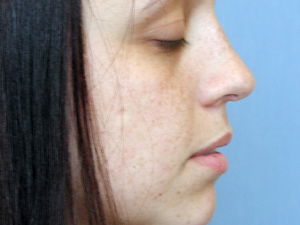 Your nose is one of the most important features of your face, and it is important that it be in harmony with the rest of your features. Each nose presents a unique set of issues, which I will discuss with you thoroughly and individually. Your nose has many components but may simplistically be compared to a tent. The skin is like the tent shell or covering fabric, and the cartilage and bones are the tent supports or poles. You can remove bones and cartilage, but you cannot simply cut off skin. 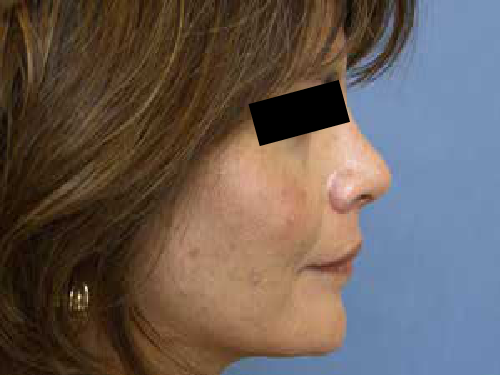 It would be a lot easier to just cut off some of that extra skin, but imagine a big scar down the middle of your nose. You really must leave the skin, and therefore you have to consider how much bone and cartilage you can remove so that the skin is redraped with adequate support. Otherwise, when you have extra skin, the tip just sags down, and makes your nose look droopier and even larger. Some people have skin that is thick and heavy, like neoprene, which may be difficult to support. 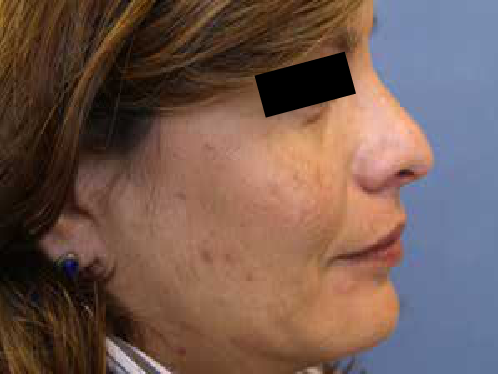 Other patients have thin, delicate skin like chiffon, which may be easier to support and redrape. I really must examine each nose carefully before tailoring an operation specifically to meet your needs and desires. 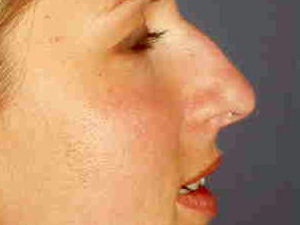 With a rhinoplasty, as with all surgeries, you can’t always get what you want. 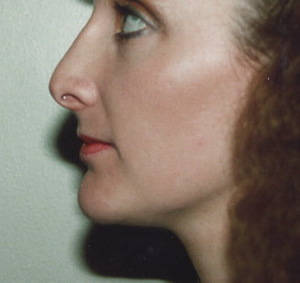 This nose overpowered this patient’s profile. By removing some of the nasal dorsum, and then elevating and refining the tip, I helped put her nose in better proportion to her face. Most importantly, it is still this young lady’s nose! This woman’s nose and chin were out of balance. Surprisingly though, I actually made her nose larger to make it more proportional. At the same time I reduced her chin to balance the result. Sometimes a little bump can make your nose look knobbly. Sometimes just a little off the lop and lifting the tip of your nose up can make a big difference. As we get older, the nose does sometimes seem to grow – and this patient is still so young and beautiful! And remember, gravity is not our friend. She just had her nose tipped back up to where it used to be.